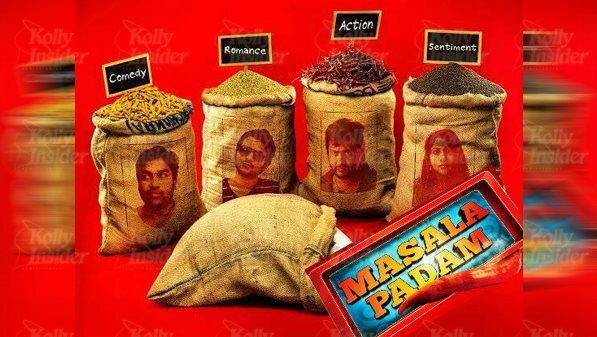 Bobby Simha is currently acting in a film titled Masala Padam. Mirchi Shiva is also donning an important role in the film. New face Gaurav and Lakshmi Devi who had acted in the film Nil Gavani Sellathey are also donning important roles. Presenting to you "Masala Padam" Video Teaser starring Mirchi Shiva, Bobby Simha, Gaurav, Lakshmi Devy. Producer Vijaya Raghavendra while speaking about the film earlier, said, "We have immense pleasure in releasing the trailer of Masala Padam on 1st May being Workers Day. We have decided to release the audio songs in short span of time."